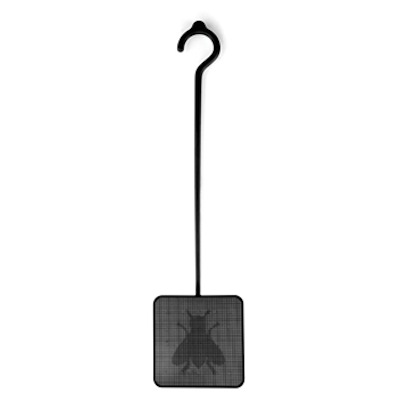 Often, the most difficult part of swatting flies is locating the fly swatter. This design allows for the object to hang from any doorknob or attach magnetically to any metallic surface. The subtle pixilation of the swatter's flap reveals an image of the desired target.